One is new, one is older...both are "sporty"!!! My mom is so happy that I could make these cards for two of her friends. 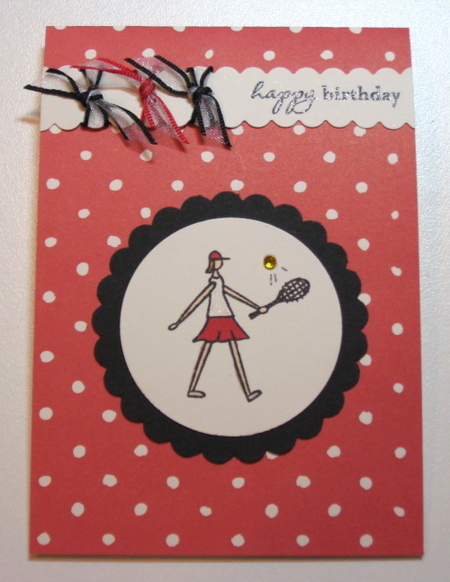 A hip and "blingy" tennis player! So elegrant, Michelle. I miss you and Helle. I hope your new venture is everything you've dreamed of and more. 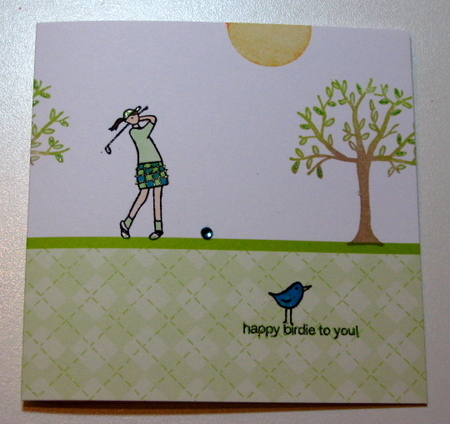 I love the golf and tennis cards! Happy Birdie to you...that is sooo cute. Do you want to start a nonprofit, travel around the world, or take a year-long work break to pursue a passion project.